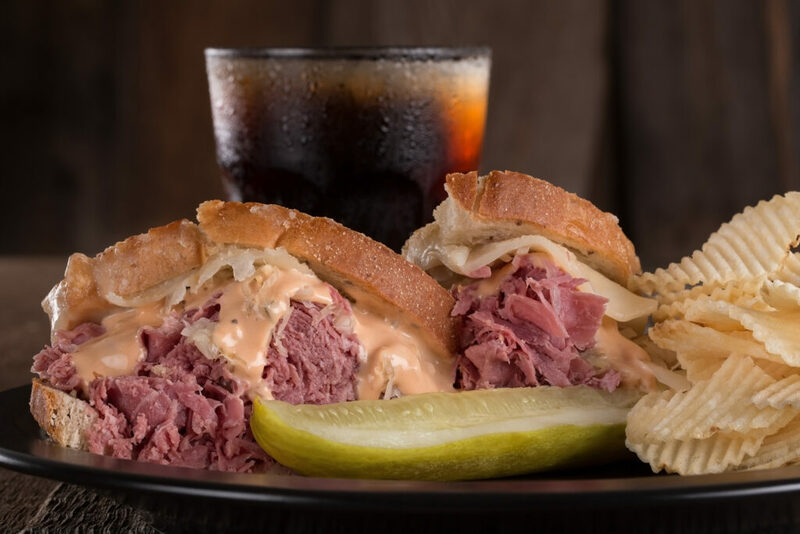 YOUR Deli has a variety of catering solutions for graduations, parties, family reunions, special events and more! 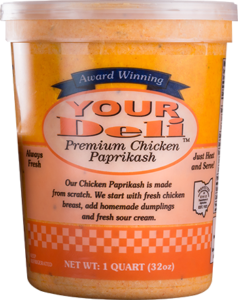 YOUR Deli Premium Chicken Paprikash™ is made from scratch in our own commercial ODA approved kitchen. We take extra patience to blend the perfect combination of fresh USDA chicken breast with carefully selected dairy and delicious, homemade spaetzel dumplings. 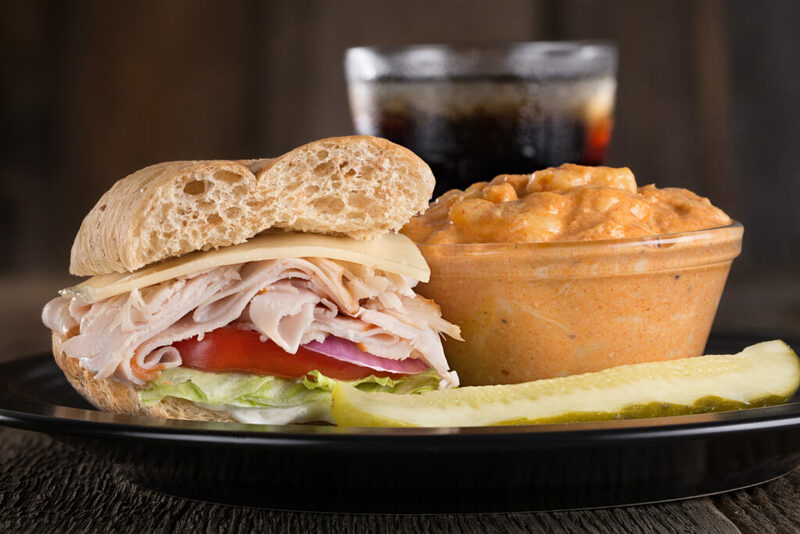 While YOUR Deli Premium Chicken Paprikash™ is very labor intensive on our part, we also see it as a worth-every-minute, mouthwatering meal that your family and friends are sure to love. 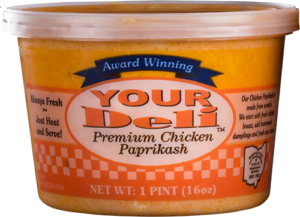 A roaster of YOUR Deli Premium Chicken Paprikash™ serves approximately 80-85 cups or 50-55 bowls and sells for $150.00. Fresh Baked Rolls and or Fresh Salads available as well. Stop by or call us today at 440-985-3354.